The French government wants to ban the use of the chemical bisphenol A in plastic packaging in 2015. The plastics industry has responded by saying the government is being “unrealistic” about the challenges this change will produce. EURACTIV France reports. 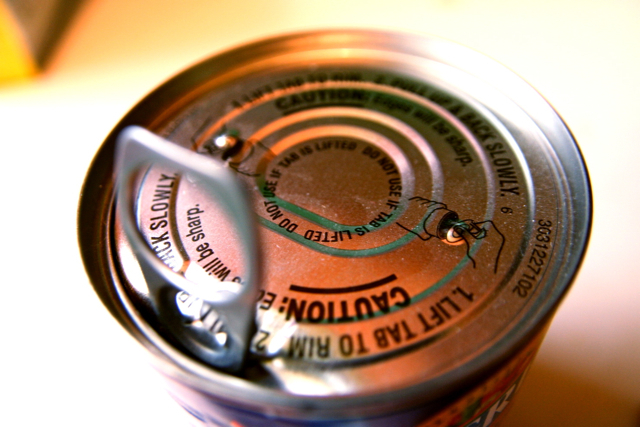 France has declared war on bisphenol A. The government presented a report to the French Parliament on 21 November, in which it assessed the possible substitutes for the chemical. Numerous studies have demonstrated the negative health effects of exposure to bisphenol A, particularly to the liver, the kidneys, the reproductive system and the mammary glands. Bisphenol A (BPA), together with other chemicals, is used in the manufacturing of plastics and resins. It is found in many everyday objects, like cutlery, kettles, coffee machines, food mixers, food packaging and bottles. BPA helps to preserve the flavour of foods and protect them against contamination from microorganisms. On 1 January 2010, France banned the use of BPA in products that come into direct contact with food for babies and young children, like feeding bottles. An EU-wide ban followed in January 2011. France will soon introduce a new law, banning the use of BPA in all food packaging from 1 January 2015. In its report, the French government identified an abundance of alternative materials that could be used from 1 January 2015. Further research is needed into the possible alternative uses of these materials. Among the 73 alternatives to bisphenol A mentioned in the report, polycarbonate, a rigid and transparent plastic, has already been substituted “without major difficulty”, for the containers used in water fountains. The substitution of thermal paper (used in till receipts) is also already under way. According to the report, “industry representatives say that at the current stage of testing, the results are satisfactory for the large majority of the substitutes used, and they believe they will be broadly ready for the entry into force of the new law on 1 January 2015”. This claim is refuted by PlasticsEurope, the association of European plastics manufacturers. Jasmin Bird, of PlasticsEurope, expressed the concern that “the report is being interpreted as confirmation that a switch to substances other than BPA would be immediately feasible and comparably easy”. But the alternatives “either do not exist or do not perform to the same level as BPA for different applications”, according to the lobby. Ralf Maecker, of the Epoxy Resin Group, said “this interpretation would be an unrealistic simplification of the challenges, and it contradicts to a large extent industry’s own assessment”. PlasticsEurope also criticised the government’s report for not providing scientific or toxicological assessments of the materials it proposed as substitutes for BPA, saying it “misrepresents” their suitability to replace BPA. PlasticsEurope has opposed the French government’s plans to stop the use of BPA in food packaging, saying the alternatives have not been subjected to sufficient examination, and that the new law “contravenes the current EU-wide rules for plastics in food contact materials and provides no health benefit”. The lobby group believes that a simple ban on bisphenol A in food packaging would lead to the disappearance of a large number of products, which would become more difficult to store. The alternatives to BPA are still too little understood, they say, particularly with regard to their durability and toxicity, and the new law could put the safety of consumers at risk. The endocrine system is a network of glands that regulates the release and the level of hormones in the body. Hormones are the body's chemical messengers, which are essential for the metabolism, growth and development, sleep and mood. A tiny amount of a hormone is all that is needed to stimulate the body into action. The endocrine system is complex, and its efficient functioning depends on a variety of biological and physiological factors. There is evidence linking bisphenol A to disturbances in this system. Government's report to the Parliament on substitutes for Bisphenol A (in French) - Law of 24 December 2012.